Enriching the quality of life for kenneled dogs. Attracting and retaining quality volunteers. Helping dogs become more adoptable. Effectively matching the right dog with the right dog owners. Volunteers are strongly encouraged to apply. Potential applicants must have at least 50 hours of regular volunteer work to be considered for the program. Some experience with dog training is a plus but is not required. Members must be at least 16 years of age and have their own transportation. The makeup of the squad has changed since the program began in June 2014, through volunteer departures and additions. The first group of volunteers were Ethan Larson, Dennis Grace, Danelle Grace, Sandy Comer-Moen and Teri Collyard. They donated their time and energy to help make these dogs adoptable. Larson also serves as program coordinator. Shiloh, a squad dog adoptee, serves as an ambassador. In recent years, the Mod Squad has expanded the group by adding Heidi Van Heerde, Angela Morris & Jessica Reynolds to the team in 2014. Four new volunteers joined the squad in 2016, with Lori Winston coming aboard in July; Engress Clark & Clarissa Sletten joining in September and Sophia Maki joining in December. These new recruits went through orientation and extensive training to help shelter dogs become more adoptable. Their expertise in dog training will further enhance the Mod Squad. The current roster of Mod Squad volunteers include: Angela Morris, Teri Collyard & Sophia Maki. Ethan Larson continues as Mod Squad Coordinator and Shiloh as ambassador. All the Mod Squad volunteers, past and present, have done an outstanding job working with the dogs, even starting from the ground up with certain shelter dogs, who hadn’t had any training at all. They all do an awesome job. 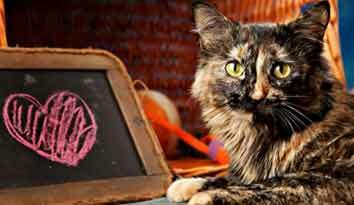 There have been 81 Mod Squad adoptions since the program began in June 2014. Recent graduates include: Collins, Beetlejuice & Harvey. The volunteers continue to expand the program with fresh, new ideas and make the Mod Squad bigger and better with each passing year. Two new Mod Squad dogs at Great River Rescue will be named at a later date. Rusty is currently in foster care. In Sept. 2014, Dr. Claudeen McAuliffe of the Humane Animal Welfare Society of Waukesha, WI presented Great River Rescue Mod Squad program with a certificate for a successful program startup. In Nov. 2016, Dr. McAuliffe returned to Great River Rescue to present a seminar based on shelter dog behavior evaluations and see how far the Mod Squad has progressed since her last visit. Dr. McAuliffe stated that Great River Rescue’s Mod Squad program was one of the most successful Mod Squad programs she has seen since she took her program on the road to seven shelters across the country, due in large part to great volunteer enthusiasm and their endless hard work and dedication to work with our shelter dogs to make them more adoptable. 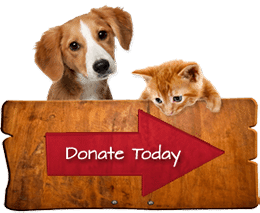 Currently, of those seven, there are only three Mod Squad programs remaining in the country – GRR (June 2014), HAWS (Dec. 2009) & the Sheboygan County Humane Society in Sheboygan, WI (Sept. 2015). Bark Avenue Grooming began a two-year sponsorship of the Mod Squad in Aug. 2015, which ended in 2017. 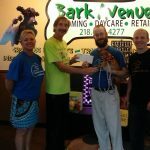 The squad would like to thank Bark Avenue for their two-year sponsorship and generousity to help in the training of shelter dogs to make them more adoptable and find their forever homes. In Oct. 2016, the squad recorded their 50th adoption in their short and successful history. The team looks forward to many more adoptions and reaching more milestones in the future. A big shout-out to the hard-working and dedicated volunteers for achieving this big feat. The squad would like to thank Great River Rescue & the surrounding areas for all of their support to make this program very successful. There is a photo gallery of all the Mod Squad graduates (and the current dogs in the program) on Great River Rescue’s Facebook page. The team is looking for additional businesses to help sponsor the Mod Squad. If your business is interested in sponsoring this fun and exciting program, contact Great River Rescue for details. The squad is looking to recruit new volunteers. 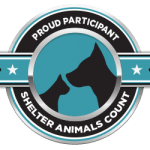 If you are a dog lover, a dog trainer or enjoy being around our four-legged friends, click on the volunteer links below. http://www.kaxe.org/post/mod-squad-getting-rescue-dogs-homes#stream/O. (KAXE/KBXE’s Area Voices – 8/23/17). 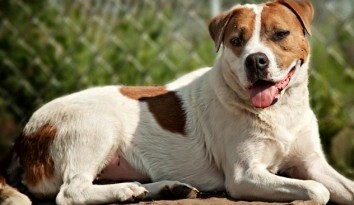 http://www.minnesota.cbslocal.com/video/category/interviews/3748408-mod-squad-Bemidji-rescue-helps-dogs-with-behavior-issues/. (WCCO This Morning – 10/19/17). The Mod Squad was also featured on the 12/18/14 & 3/29/17 (see above) broadcasts of KB101‘s Chat-A-About program, the 6/8/17 broadcast of Qfm’s nightly radio shows (see above), the 11/1/17 broadcast of the Mix 103.7’s morning show & the 11/2/17 broadcast of KZY 95.5’s morning show. The Mod Squad was also featured in the above YouTube video interview about the program from iNewz.TV on 5/17/17. The Bagley Farmers Independent has published several news stories about the Mod Squad in the last few years. The first was an introductory article about the program which appeared in their 10/22/14 issue, a sponsorship picture with Bark Ave. Grooming in their 9/16/15 issue & finally, an article about the program in their 10/26/16 issue.